November choices for the LeVar's Rainbow Book Club. 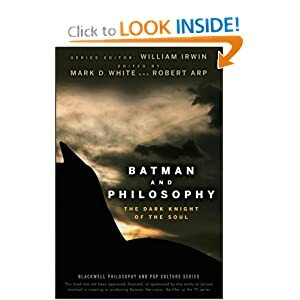 In this, the latest in Wiley's Blackwell Philosophy and Pop Culture series (South Park and Philosophy, The Office and..., Metallica and...), editors White and Arp assert upfront, and without qualification (apparently, that's the contributors' job), their belief that Batman is "the most complex character ever to appear in comic books and graphic novels." Exploring certain works that have broadened the philosophical undercurrents of the Batman mythos (Frank Miller's Batman: Year One and The Dark Knight Returns are cited often, but rarely the new movies), a raft of professors, students and PhD candidates paint Bruce Wayne's choices as, most often, either utilitarian or deontological, with basic descriptions of these systems helpfully provided for the novice. A few contributions broaden the discussion beyond the well-worn (origin stories of Batman and foes, etc. ); casting butler Alfred as Kierkegaard's "knight of faith" to Batman's "knight of infinite resignation," contributor Christopher M. Drohan actually gets close to the archetypal sources that keep the serialized exploits of Batman and other comic heroes from getting stale. 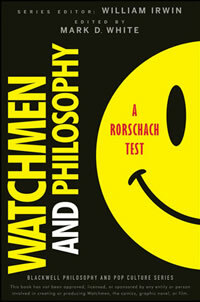 Alan Moore's Watchmen is set in 1985 and chronicles the alternative history of the United States where the US edges dangerously closer to nuclear war with the Soviet Union. Within this world exists a group of crime busters, who don elaborate costumes to conceal their identity and fight crime, and an intricate plot to kill and discredit these "superheroes." 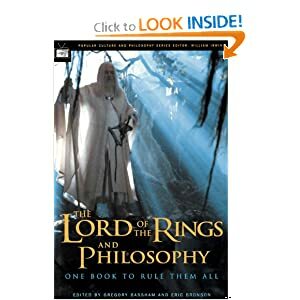 The many faces of Keanu Reeves as hero Neo-Christ, Buddha, Socrates-are explored in these essays on the philosophical implications of the sci-fi martial arts blockbuster The Matrix, collected by the editor of Seinfeld and Philosophy and The Simpsons and Philosophy. According to the academics assembled here, when messianic hacker Neo kick-boxes the Matrix's virtual-reality dream-prison, he is really struggling with some of mankind's biggest conundrums: the nature of truth and reality, the possibility of free will, the mind-body problem and the alienation of labor in late-capitalist society. 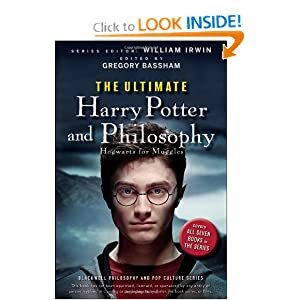 The tacit goal here is to make philosophy fun for the general reader by orienting it to pop-culture reference points, so while some articles contain rather dense philosophical jargon, most are pitched at the level of a freshman intro course. 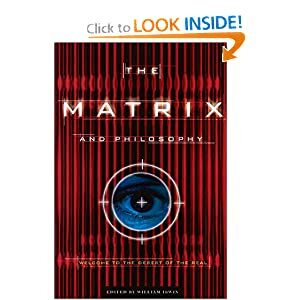 But only a few chapters delve into the movie's aesthetics; the rest seem to use The Matrix as a peg on which to hang a canned philosophy lecture. 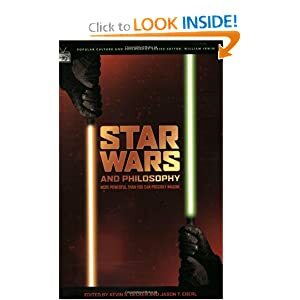 The results are occasionally engaging, as with David Mitsuo Nixon's nifty refutation of the "reality is just an illusion" conceit, but they're too often dryly academic and liable to elicit no more than a drowsy "whoa" from the movie's legions of fans. Are cyborgs our friends or our enemies? Was it morally right for Skynet to nuke us? Is John Connor free to choose to defend humanity, or not? Is Judgment Day inevitable? The Terminator series is one of the most popular sci-fi franchises ever created, captivating millions with its edgy depiction of the struggle of humankind for survival against its own creations. 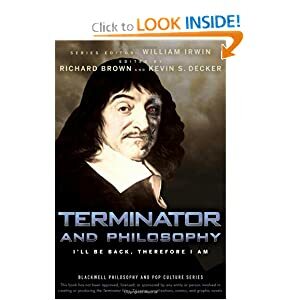 This book draws on some of history's philosophical heavy hitters: Descartes, Kant, Karl Marx, and many more. Nineteen leather-clad chapters target with extreme prejudice the mysteries surrounding intriguing philosophical issues raised by the Terminator series, including the morality of terminating other people for the sake of peace, whether we can really use time travel to protect our future resistance leaders in the past, and if Arnold's famous T-101 is a real person or not. You'll say "Hasta la vista, baby" to philosophical confusion as you develop a new appreciation for the complexities of John and Sarah Connor and the battles between Skynet and the human race.